Best of the City with Austin Monthly! Welcome to our first installment of Cover Collaborations! We’ve teamed up with Austin Monthly to bring their cover stories to life, you’ve read the articles, now we invite you to Experience Austin Monthly! 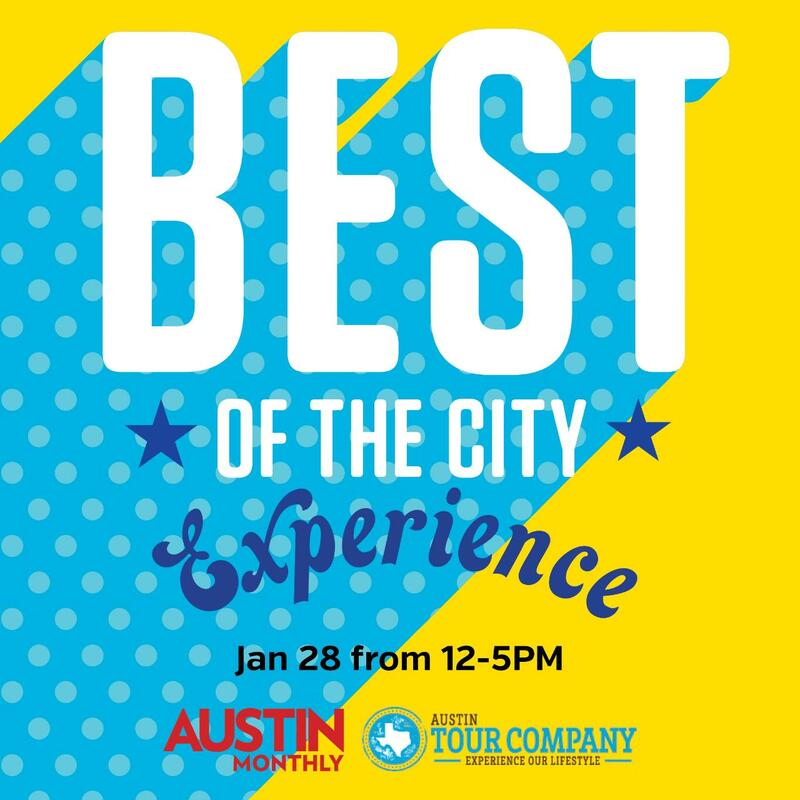 Kick off the new year by joining us on our limited edition Best of the City Experience! Jump on board with us as we take you to some of our favorite spots in Austin! All stops are hand picked and were featured in Austin Monthly's December "Best of the City" issue. The best part is that the stops will be a surprise and you'll receive a custom experience at each of them. All food, beverage and fun is included. You can also expect some surprise guests and swag throughout the day. We are running this one time only experience on January 28th! With limited seats available it will sell out fast, grab your tickets now!